'We actually got to jam with Paul McCartney. I was learning Paul McCartney's basslines and that may have had a bit of an influence on it,' says frontman Matthew Bellamy. Muse returned this month with their grand new concept album 'Simulation Theory'. One of the album's highlights and soon to be crowd-favorite at Muse gigs is the infinitely groovy number 'Pressure'. Featuring a ripping guitar riff, 80s styled synths, frontman Matthew Bellamy's staccato vocals and a flourish of brass, the single came with its own music video that paid homage to 'Back To The Future' with a guest appearance by Terry Crews. Recently, band members Matt Bellamy and Dom Howard featured on NME's 'Song Stories' segment and discussed how the single came to be. "I think I was filling on the guitar. I knew the album was going quite synthy and programmed and there was a live band in there as well," Bellamy explains in the segment, before going on to explain how the opening riff was influenced by a chance meeting with Beatle Paul McCartney. "I just started playing loads of riffs. I started playing endless riffs. And at the time Dom and I joined this Beatles cover band called [Dr. Pepper's] Jaded Hearts Club Band and I was playing a couple of shows with them. And we actually got to jam with Paul McCartney. I was learning Paul McCartney's basslines and that may have had a bit of an influence on it. When I started learning Paul McCartney's basslines I thought, 'wow these are pretty busy, interesting basslines'." 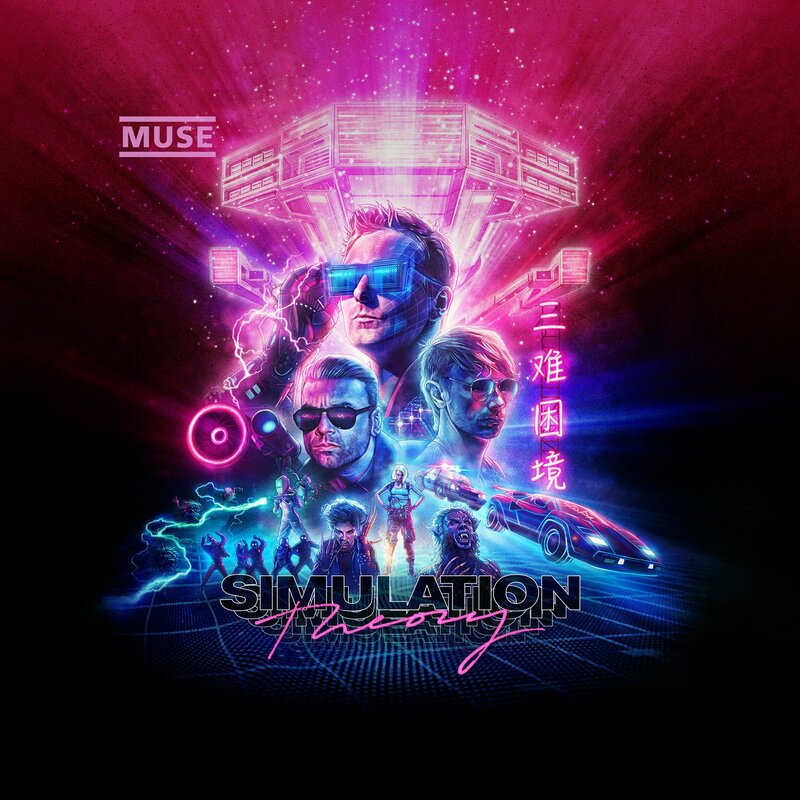 Official album art for Muse's 'Simulation Theory'. "So that might have rubbed off in some way," he continued. "When I sat down with the guitar I thought 'how can we get more of this on the album?' I started playing lots of riffs - single note stuff, not chords basically and just came up with a series of riffs that linked together," he said, animatedly humming the opening riff and then the accompanying bassline to explain what he exactly meant. "Of course, it really is quite a Beatles-like bassline. Pretty much the whole song is on the bottom four strings on the guitar. It's probably very influenced by the fact that at the time I played the bass [guitar] a lot trying to learn Beatles basslines. Weirdly enough, even though the album is quite futuristic, retro, nostalgia and eighties and so on, I'd say that song was probably quite influenced by the Beatles." Further, in the interview, the duo went on to explain how Dow Howard came up with the idea to add a brass section into the song after listening to early demos on Bellamy's phone. The band even brought along a four-piece brass quartet during their live performance of the song on 'The Tonight Show Starring Jimmy Fallon'. Watch the performance below and see if you can catch the Macca-inspired bassline and riff. 'Simulation Theory' is streaming now on all major platforms. In our 4-star review of the album, we praised Muse for confidently pulling a hard left-turn and incorporating elements of electronic music and pop into the new album tastefully. Read the full review here.